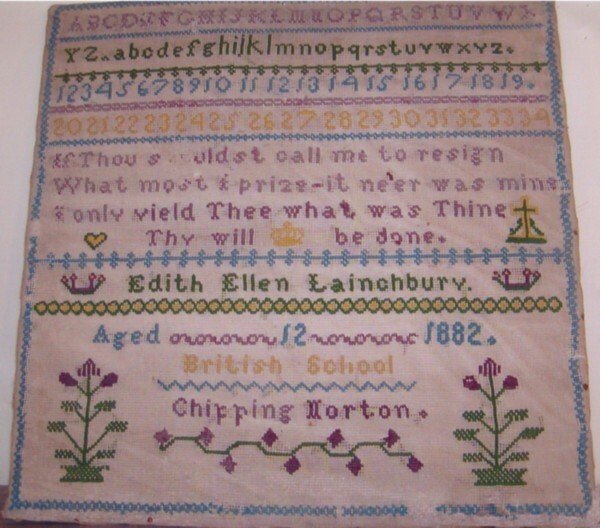 This cross-stitch sampler was found for sale in a shop in Chipping Norton, Oxfordshire, and was promptly purchased on 10th May 2006 by David LAINCHBURY. David very kindly took a photograph and posted it to me here in Australia in order to be added to. 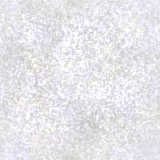 this website. I would really like to thank him so much for being willing to go to the expense and trouble so that I can then share it with the world. Of course the mystery remains as to where this sampler resided for the 66 years between Edith's death and its appearance in the antique shop in 2006. Edith was unmarried and childless so we have no ideas where it may have languished. If anyone has any knowledge please do email and let us know. Here is the sampler (left) as David purchased it and then (right) since it has been framed. He apologises for the appearance of the framed photograph because of reflections from the glass but we can certainly see that he has made a beautiful job of restoring this precious family memento to a place of pride. I can't help but wonder what that 12 year old school child in 1882 would make of her needlework being visible to everyone, no matter where they are in the world. Also with thanks to David is this photograph of the British School in New Street, Chipping Norton, where Edith Ellen did the embroidery. 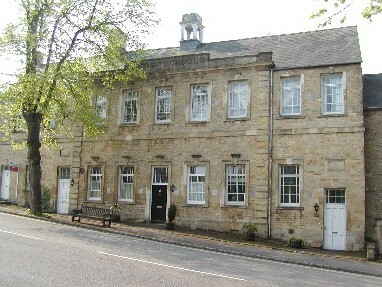 He says that the building is now apartments, but it still looks wonderfully old and original from the outside. Born 1869-70, in Chipping Norton, Oxfordshire, 1837Online comes up with a birth registration at Chipping Norton in the September quarter of 1869, reference 3a/669 (though the 669 is unclear). This looks to be her, and her Mum was nee SCARSBROOK. But born in Gloucestershire. Ellen (9), Caleb (6) and Elija (4), all Village Scholars, all b Cornwell. John LAINCHBURY married Mary Ann HATHAWAY 1832 Cornwell, and Eli (1847) was the youngest of 7 known children. From there back is POSSIBLY as follows. John was probably the 1807 son of William LAUNCHBURY and Hannah nee X.
William was possibly the 1774 son of John and Ann nee MOSS. John was possibly the son either of William and Hester nee GARDINER (b 1741) or of John and Sarah nee HUNT (b 1736). Those two alternative fathers of John may have been brothers, sons of Hercules and Mary nee X. If John was the son of William, his baptism was 1711; if he was the son of John then it was 1713. Hercules (b 1680) was probably the son of William & Sarah nee HARRIS, and Mary may have been his second wife. And some wonderful news to finish this page. I have been told that the sampler has been purchased by a LAINCHBURY family member who plans to have it framed. It is so good to know that it is back in the family once more, where it will be treasured lovingly.